We all love when the title of a show tells us exactly what we’re about to see. Such is the case in My White Wife, or So I Married a Black Man. 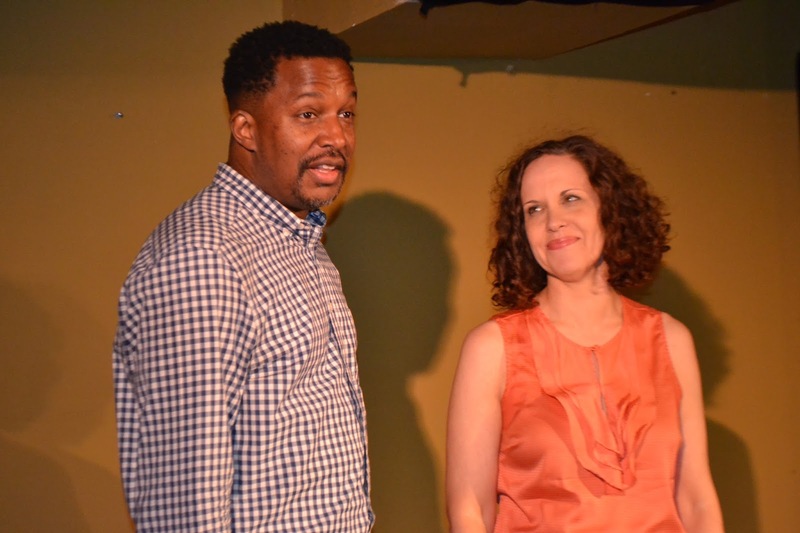 Written by Vanessa Shealy, the white wife, and Rick Younger, the black man, this comedy is virtually a mash-up of two solo works to make for one funny evening. The comedy chronicles the love and marriage of the real-life couple as they dive into how their relationship opened their eyes to love, race, and the world around. Individually, Shealy provides the storytelling while Younger serves as the stand-up comedian. They are two different performers that mesh well. Thankfully. The structure of the night is an opening where the two set up the show. Then they each get a moment in the spotlight for their stories. But the reason we’re really there is to see the pair together. My White Wife, or So I Married a Black Man is missing more of the fun back and forth banter and chemistry. Even if that means keeping both Younger and Shealy on stage watching as the other is speaking, the reactions is what makes this piece tick. The visual aids that occasionally accompany the stories provide the night’s funniest gimmicks, which is a bit telling of the material. Co-directors Melissa Attebery and Carl Foreman, Jr. help guide the pair through the highs and lows of the comedy and drama, ensuring that the authenticity remains. Though the more somber moments aren’t as polished. This is a play that will make you laugh. Even if the heat seems to be on in the Huron Club. My White Wife, or So I Married a Black Man is a perfect show for a date night.